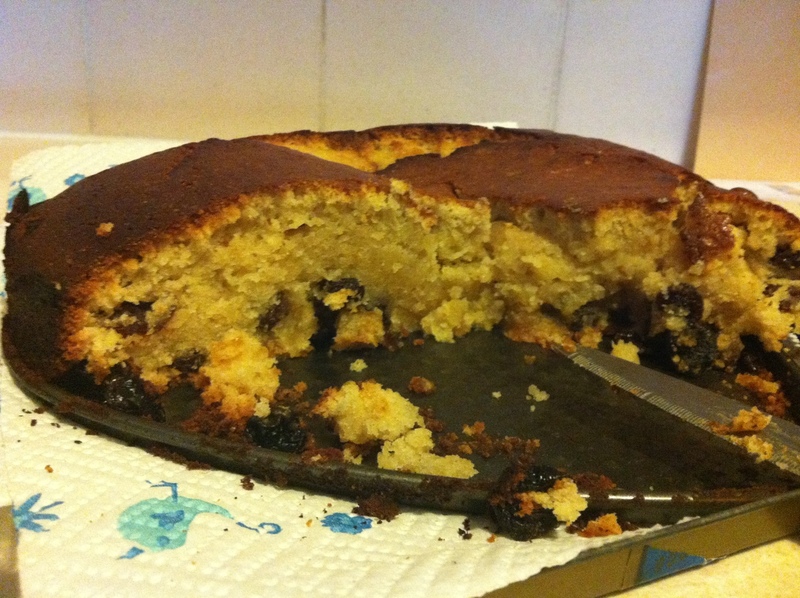 All hail Herman the German Friendship Cake! I’ve been very lucky recently to have some temporary work at a solicitors, which has given me some much-needed office experience, a reason to get out of bed in the morning, and a Herman the German Friendship Cake. I have my friend Yester to thank for the latter, as she gave me a tub of batter and some instructions on my last day. Herman (you talk about him as if he were real, that’s part of the fun) is a hungry fella, and he needs a cup each of sugar, plain flour and milk on the third and ninth days you own him, stirring well on every day in between. On the ninth day (two further than god ever got) you split Herman in to three equal parts. One you cook on the tenth day (or the ninth, if you’re hungry), one you keep to start again, and one you give away to a friend. 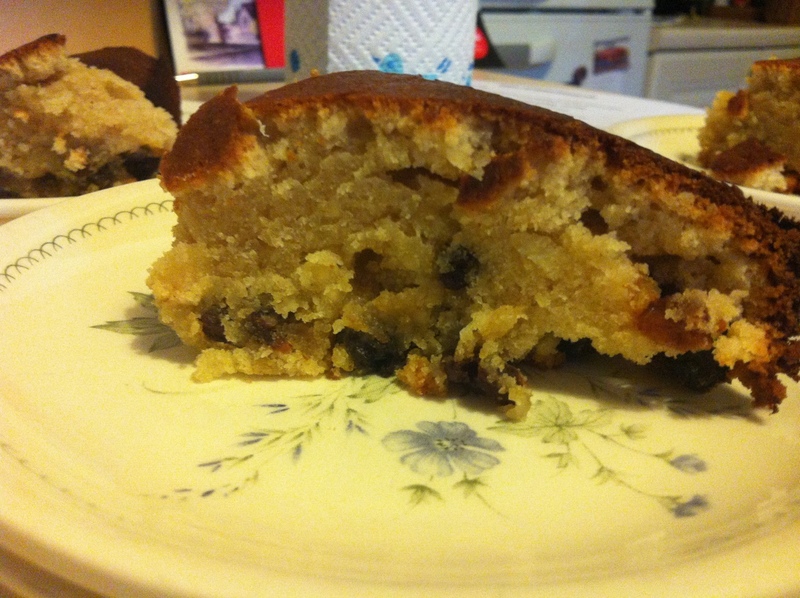 To make the cake there are dozens of recipes online, but I went for a simple raisin and cinnamon recipe that came with the instructions. Add two eggs, one cup of sugar, two cups of flour, one cup of raisins (coat them in flour first if you don’t want them to sink), two cups of cooking oil, half a teaspoon of baking soda, half a teaspoon of salt, a teaspoon of vanilla essence and two teaspoons of cinnamon. That should do it. 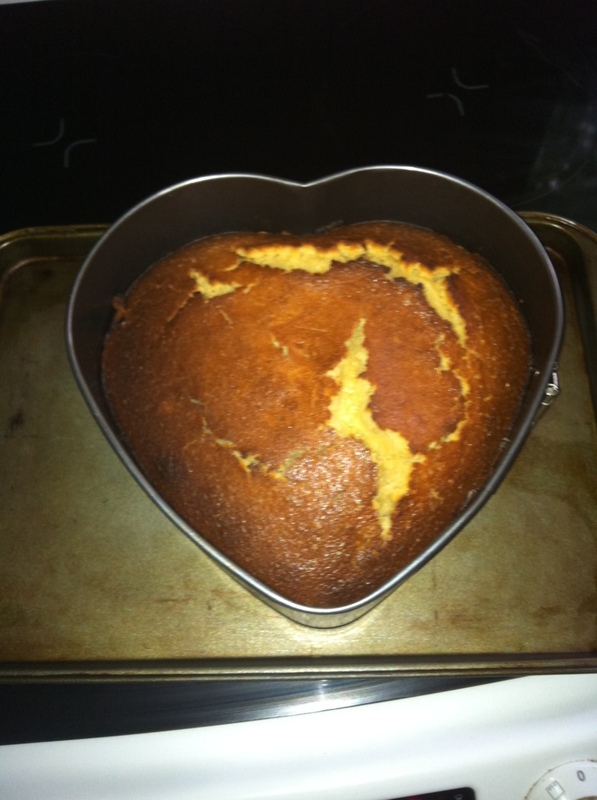 Mix it together, pour into a greased cake tin and cook at 180 degrees for 35-40 minutes. Mine burst a bit because the temperature was higher than it should have been (used a fan oven, didn’t accommodate that), but overall you should have a cake that tastes delicious and looks like this! OMG, My mom used to keep Herman when we were growing up. Wow. Looks great. I have a frozen starter (never thought to name it though. HA! ), and I’m going to give this a try. PS: Are you sure you used 2C of oil? Hi Kim, thanks for dropping by! Definitely used two cups. Not sure what difference it made, but I followed the instructions for Herman to the letter, same when I did it again. Also yummy if you substitute apple sauce for the oil. Cuts back on the calories and adds a bit more flavor.